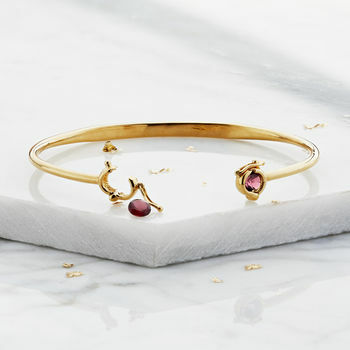 A beautiful, meaningful and stylish bangle. 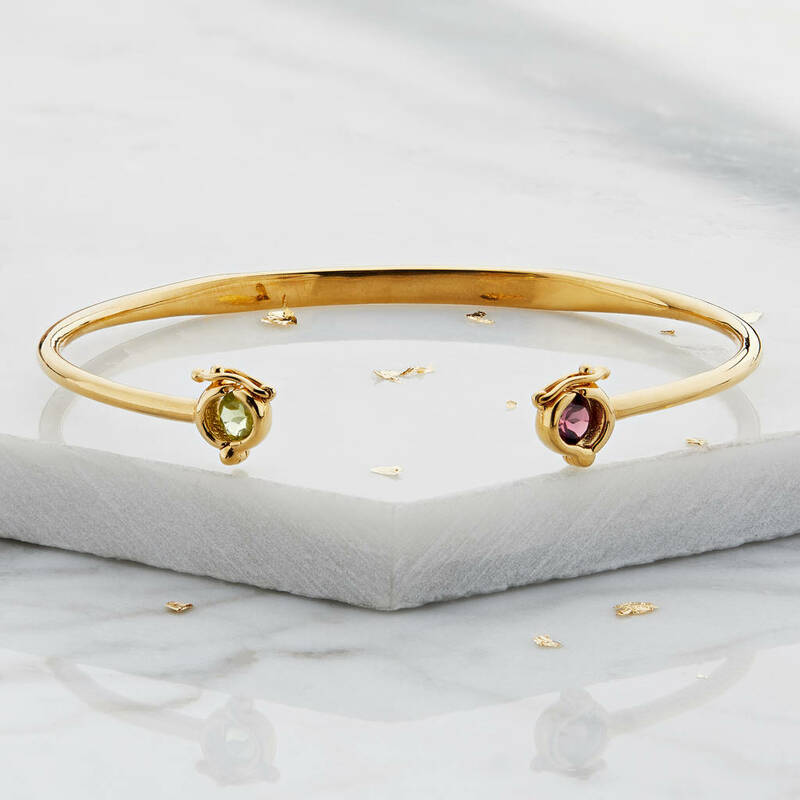 Customise with different birthstones, mood stones or healing crystals. Available in silver or gold. 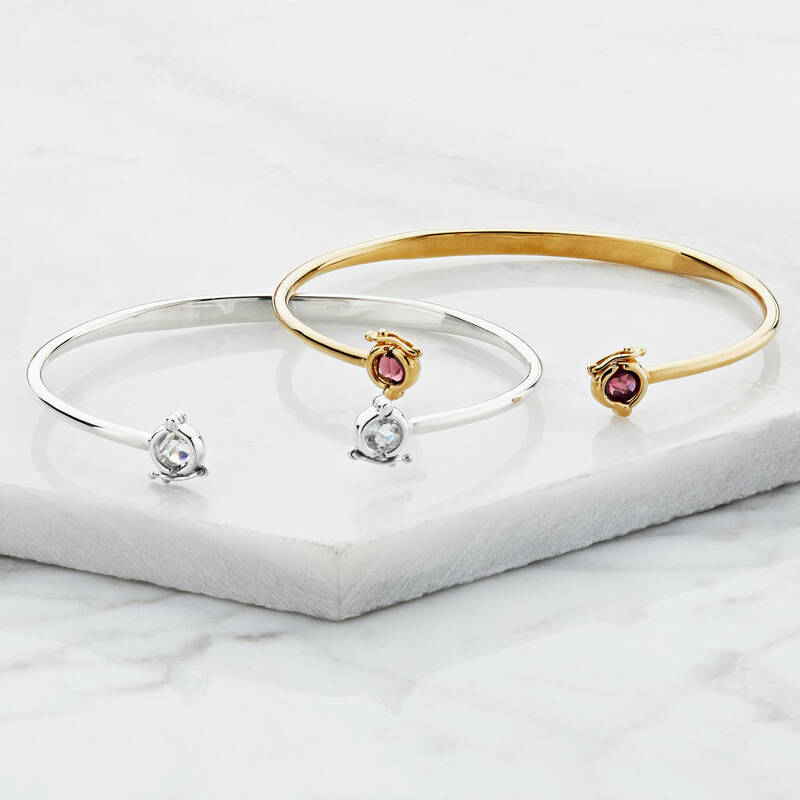 Our gold or silver gemstone bangles are the perfect personalised gift for her. Choose the two most meaningful gemstones to include as spiritual inspiration in life. The gemstones can then be removed and replaced with others to change the meaning of the piece. 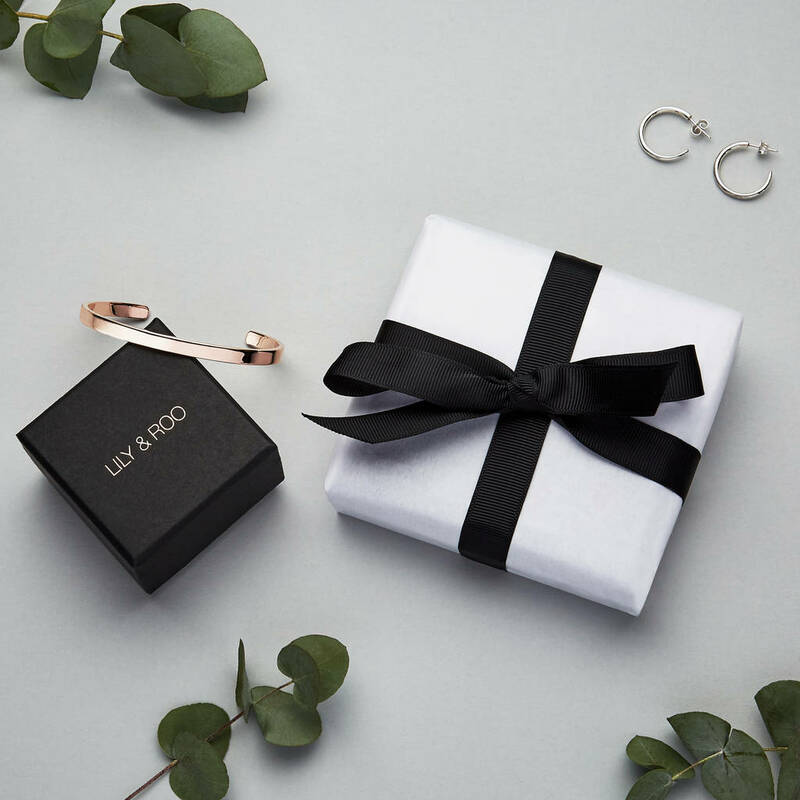 Our personalised silver or gold gemstone bangles are available solid sterling silver, solid sterling silver plated in 18ct gold, brass plated in 18ct gold or brass plated in sterling silver. We then have a variation of the following gemstones available. 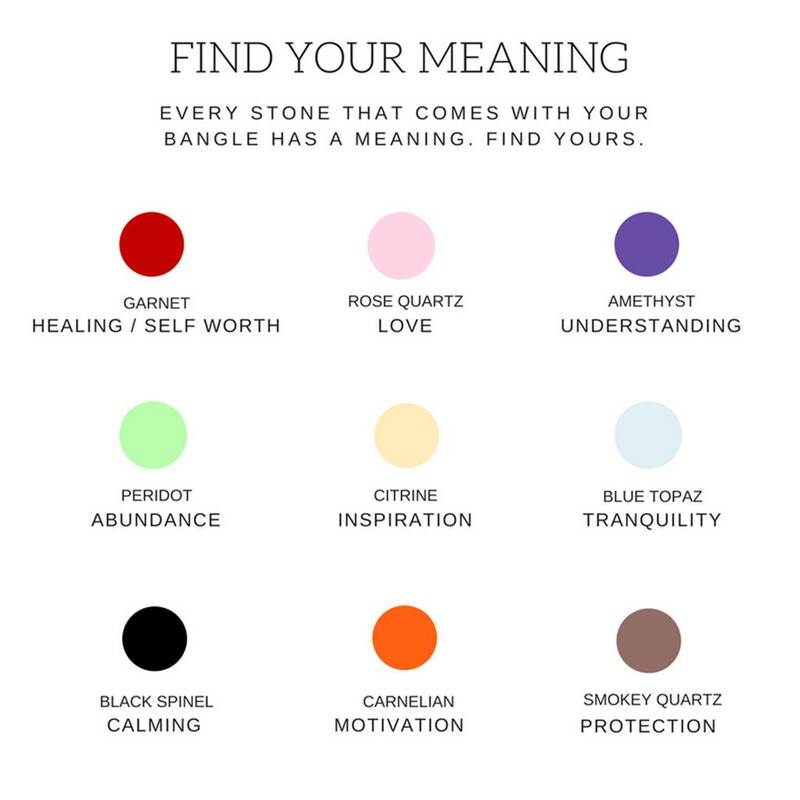 Please see their meanings below and our 'Find your meaning' image on this product page. Our personalised silver or gold gemstone bangles are available solid sterling silver, sterling silver plated in18ct gold. Please wear your with pride but remove when showering, swimming and spraying products or perfumes, as this may contribute to tarnishing. The bangle can be manipulated slightly when fitting on your wrist but please try to avoid bending a lot or many times over.